A must see Mainship 34' Hardtop with Salon Air conditioning and oversized generator, all well maintained and turn key for your fall ownership! Call for appointment to inspect as the Mainship is located at sellers residence for your easy inspection and survey!! Starting aft you enter the cockpit from the full beam swim platform thru the wide transom door where you will find cockpit seating for 6-8 adults and side deck access. Moving forward and up 1 step to the bridge deck you have the comfortable bench seat and helm station to starboard with a full array of electronics and instrumentation readily at hand. To port is an equally comfortable bench seat and companion seat with chart/map table forward. Enter the cabin area thru a center, sliding door and down 4 steps you find a convertible U-Shaped dinette to starboard and your complete galley directly across to port. Aft of the galley to port is the head with toilet, vanity and shower. Forward of galley, and center line you pass thru a solid door to the V-Berth Master Stateroom where you can lounge or sleep in comfort. The Main Salon is very spacious and comfortable. A large U-Shaped dinette easily seats 6 and converts to make a large berth. Plenty of storage is provided for those extended cruises. The Galley is located to port in the interior. This area is tastefully done with teak and Corian. Offering plenty of counter space to accommodate the true chef while making a full meal for those aboard and excellent storage for those long getaways. The Master stateroom is located forward and has a privacy door. This area has a very comfortable V-Berth with filler and has plenty of storage. The head is located to port and aft in the main cabin. Deck is very well constructed of solid fiberglass and is equipped with a factory hardtop. Deck space is well laid out and all fittings and hardware are quality stainless steel. New Lewmar 22 lb. claw anchor and chain/rode. The well equipped helm is the center of command and located on the bridge deck forward to starboard. Single 250 HP Yanmar turbo-diesel engine which provides reliable, economical cruising speeds of about 15 knots. All her mechanical systems are up to date and have been serviced regularly. 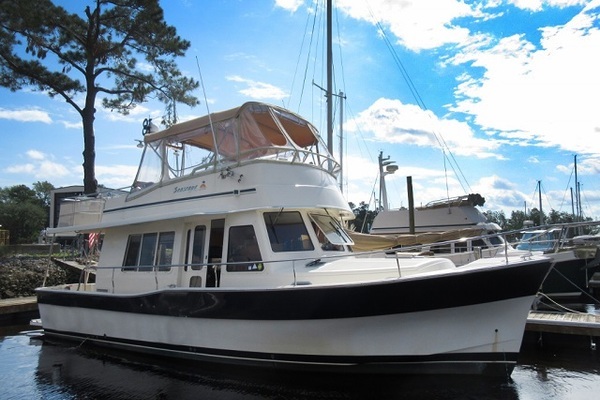 Our Mainship listing is a great opportunity to purchase a very nice 34' 34 Pilot. 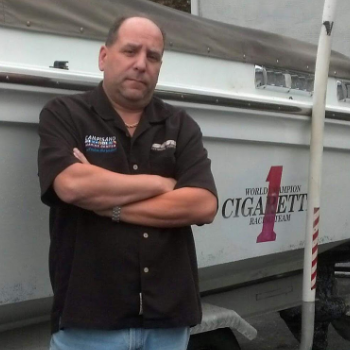 She is currently listed with United Yacht Sales broker Joe Campisano who can answer all questions about the boat for you. Please don't hesitate to reach out to our team of professional yacht brokers to schedule a showing. There are many yachts listed for sale on the MLS each with a different history. We look forward to helping you complete your search for the perfect boat or yacht for sale.